Small Business Saturday in Nashville is the best excuse I know to give my holiday business to the boutiques and shops that are redefining fashion and style in Music City. The city is filled with stores that cater to every taste imaginable. There's something for everyone here, so I thought I'd give you a guide of sorts to some of Nashville's most unique shops - just in case you'd like to drop by or visit them online. Have you heard of Gwynnie Bee - the clothing rental company that carries sizes 10-32 and lets you select garments to try for as long as you like? Gwynnie Bee has been on my radar for a while now. The concept of renting clothing for a monthly fee through the mail and then having the opportunity to buy pieces you love would be ideal for me and any woman who has time or transportation constraints. Last month I finally signed up for a 30-day free trial. Here are some of the highlights. January can be a great time to shop for clothing. With all of the after-Christmas and end-of-season sales it can make a lot of sense to hang onto your money until the new year. But if you're like the majority of women in the US you may be in for a surprise. It's here; the most wonderful time of the year. The time of year when everybody's doing what I do best - shopping! I want to encourage you to give small businesses, both locally and on the 'net, your support by shopping with them this season. Back in June I wrote a guest post called Get Out Of My Space for my new friend Kimmie Jones' blog, That Girl In The Wheelchair. 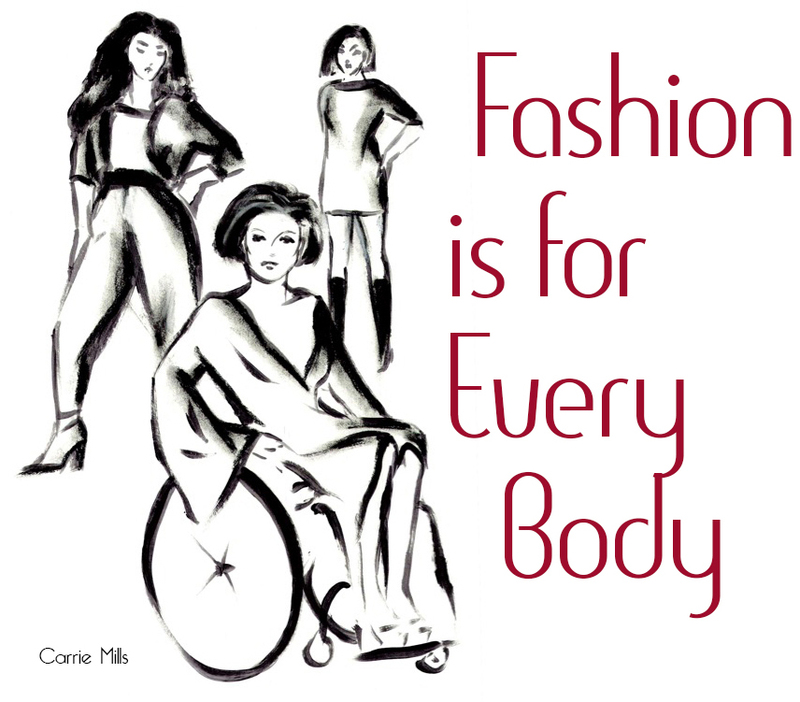 She was good enough to return the favor and give us some insight into her own thoughts on fashion from a disabled perspective. Boticca is the place to start your search if you're looking for jewelry, bags and accessories by independent designers from all around the world.